British Citizenship: Points Off for Protest? Chicago native Ben loves his country and is proud to be an American. Yet the longtime resident of Melbourne has just relinquished his U.S. citizenship. "This is not something I did lightly or happily, but I saw no other choice," says Ben, a businessman who became an Australian citizen two years ago. His words resonate with another American expatriate, John, a business owner based near Lausanne, Switzerland, who like Ben asked that his last name be withheld for fear of alienating his family in the U.S. "Giving up my U.S. citizenship is a genuine option," says the Ohio native, who recently received his Swiss passport and is considering relinquishing his American one. "I am at a breaking point  being American costs me time [and] money, but mostly aggravation." For U.S. citizens, cutting ties with their native land is a drastic and irrevocable step. But as Overseas American Week, a lobbying effort by expatriate-advocacy groups, convenes in Washington this week, it's one that an increasing number of American expats are willing to take. According to government records, 502 expatriates renounced U.S. citizenship or permanent residency in the fourth quarter of 2009  more than double the number of expatriations in all of 2008. And these figures don't include the hundreds  some experts say thousands  of applications languishing in various U.S. consulates and embassies around the world, waiting to be processed. While a small number of Americans hand in their passports each year for political reasons, the new surge in permanent expatriations is mainly because of taxes. Considering that an estimated 3 million to 6 million Americans reside abroad, the number of renouncements is small. But expatriate organizations say the recent increase reflects a growing dissatisfaction with the way the U.S. government treats its expats and their money: the U.S. is the only industrialized nation that taxes its overseas citizens, subjecting them to taxation in both their country of citizenship and country of residence. "Their income and wealth are generated largely outside the U.S., so why does the U.S. get a slice of that?" says Phil Hodgen, a California-based international tax attorney who helps Americans in the expatriation process. "More and more people see no long-term benefit to retaining U.S. citizenship." Additionally, the U.S. government has implemented tougher rules requiring expatriates to report any foreign bank accounts exceeding $10,000, with stiff financial penalties for noncompliance. "This system is widely perceived as overly complex with multiple opportunities for accidental mistakes, and life-altering penalties for inadvertent failures," Hodgen says. These stringent measures were put into place to prevent Americans from stashing undeclared assets in offshore banks, but they also make life increasingly difficult for millions of law-abiding expatriates. "The U.S. government creates conflict and abuses me," says business owner John. "I feel under duress to understand and comply with laws that have nothing to do with me and are constantly changing  almost never in my favor." John says that since he moved to Europe 25 years ago, U.S. tax regulations have become more and more burdensome. "Every time I turn around, I get smacked in the face with some new restriction as a result of being a U.S. citizen abroad," he says. And because the U.S. government requires other countries to abide by its banking and financial rules when dealing with expatriates, Americans living abroad are often denied services because of the increasingly complex legalities and logistics involved in serving U.S. customers. Many U.S. expats report being turned away by banks and other institutions in their countries of residence only because they are American, according to American Citizens Abroad (ACA), a Geneva-based worldwide advocacy group for expatriate U.S. citizens. "We have become toxic citizens," says ACA founder Andy Sundberg. 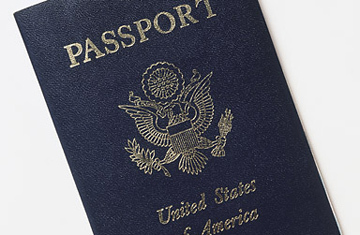 Paradoxically, by relinquishing their U.S. citizenship, expats can not only escape the financial burden of double taxation, but also strengthen the U.S. economy, he says, adding, "It will become much easier for these people to get a job abroad, and to set up, own and operate private companies that can promote American exports." Relinquishing U.S. citizenship is a fairly simple process: after filling in a few forms, and in some cases, paying an exit tax (based on the applicant's worldwide income and assets), the former citizen receives his canceled passport in the mail. But the decision can be difficult. "Cutting my ties with America hasn't been easy," says Ben, who as a foreigner can now spend only 90 days a year in the U.S. "My family and friends think I am a traitor. But the financial burden was killing me."